The American Dream of owning a business is widespread, but comes with a cost. Because of the risk involved in creating a business from the ground up, many hopeful entrepreneurs turn to franchising - an opportunity to run a business that has already seen success and has brand recognition. However, the entrance fees for most franchises can be daunting. Franchises come with a long list of fees, the first being a franchise fee. A franchise fee is the cost of entry into owning a franchise. Paying the franchise fee opens the door to the franchisor's business plan and systems. Simply put, the franchise fee is a license to run the business. Therefore, it is required to open any franchise, anywhere. As COO of Gyroville, I understand the sticker shock that comes with reading the FDD and seeing all of the costs and fees that come with opening a business. When Lambros Kokkinelis founded Gyroville in 2010, his goal was to put a modern spin on traditional Greek recipes he had grown up with. As the company grew to multiple locations and we decided to franchise, we followed the lead of other major brands and set our fees accordingly. In 2018, our corporate team made the decision to lower our franchise fee from $25,000 to $9,995. This came on the heels of a year with zero franchise sales and plenty of negative feedback about the high start-up cost. It goes without saying that a lower initial cost for new franchisees is a benefit within itself for hopeful entrepreneurs. According to The Balance, the average initial franchise fee falls between $20,000 and $50,000, making it more difficult for the average American to front the money it takes to sign on with the brand of their choice. A lower out-of-pocket cost opens up the opportunity to many more candidates who hope to open their own business, but who cannot come up with $20,000 or more, among liquid capital requirements, real estate fees, and other costs. Lambros and I knew that if we wanted to continue growing the franchise, we needed to bring the entry cost down. So we completely cut our full sales team and decided to take on sales ourselves. The worst-case scenario was that we matched our total sales in 2017 (zero). We didn't have much to lose. Nine months into the year with no professional sales team, Gyroville has sold three franchises with four more in the pipeline, all in new territories. We've learned that speaking directly with prospective franchisees has turned out to be a major benefit. When Lambros and I speak with candidates, they can feel our passion for the brand. They're not speaking with a salesperson who is checking another sale off their list. It feels much more personal. In addition to our roles as CEO and COO, we have quickly established a routine in regards to the franchise sales process. Since we are so knowledgeable about the brand, it comes very naturally to us. We enjoy speaking with prospective candidates, and they appreciate speaking with the owners of the company. Many candidates are surprised at our level of involvement and are happy to hear that we will stay with them throughout the entire process. This helps build the relationship from day one. Before taking over franchise sales in March 2018, we had no experience in sales, but more than 25 years of experience in the restaurant and hospitality business. This enabled a smooth transition to franchise sales. With three franchises sold in eight months since taking over, we believe our method is successful. Looking ahead, we will likely continue the franchise sales role and put others in place to assist with grand openings. This added role to our day-to-day duties has its challenges, but our experience has helped us manage our time effectively. And to make up for the reduced franchise fee, we have placed an emphasis on getting our signed franchisees to open their location quickly, as opposed to franchise companies that are simply satisfied with selling the franchise and banking the franchise fee. We have long-term plans that include building a steady royalty stream. This will enable us to cover our training, opening, and ongoing support costs in the long run. For us, the results speak for themselves. Not only did sales increase from the previous year, but so did interest across the country. 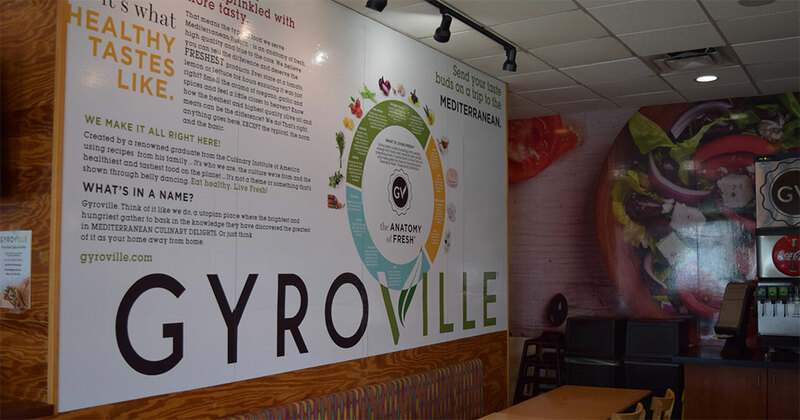 With most of our locations in Florida, Gyroville has now made its way to Michigan, and we are planning to expand in the Northeast over the next few years. Aside from sales, Lambros and I have noticed a closer connection to our new franchise partners. The two of us are there from the initial conversation with a franchisee to their grand opening and beyond. The relationship formed between corporate and each franchisee across the country is like that of a family and strengthens the business nationwide. We have made the cutback work, but can this work for other brands nationwide? Yes. It's all about getting creative. It may not seem as if there's room for budget cuts at first glance, but there always is. Maybe you follow our lead and bring sales in-house, or maybe you find ways to cut down the grand opening cost. In the end, it's beneficial all around. After a successful year, potential candidates can expect the low start-up cost indefinitely. As long as we continue selling franchises, we're going to keep the cost down. 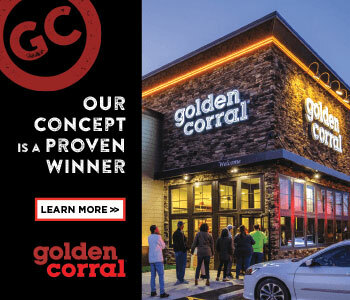 We're happy, our franchisees are happy, and our customers are happy. Seems like a success story to us. David Kurlander is chief operating officer of Gyroville. He began his restaurant career working part-time while getting his bachelor's degree from the University of Wisconsin-Madison. Upon graduating, he followed his love for food and service, which led him to The Culinary Institute of America. Email him at david@gyroville.com or call 954-533-7551.